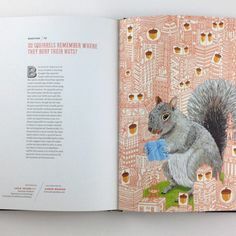 In December 2012, Mikel and Lucia published three of the 75 essays in a 2012 book that represents a collaboration between artists and scientists: “The Where, the Why and the How: 75 Artists Illustrate Wondrous Mysteries of the Universe”: why pigeons bob their heads when they walk, why do cats purr, do squirrels remember where they bury their nuts, what does a chickadee mean when it says chickadee-dee-dee and what do honey bees express in their dances? 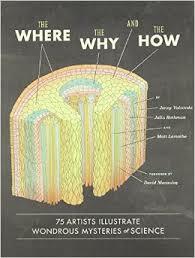 Update: it became a New York Times science bestseller list, and continues to sell in diverse venues, e.g., museums and Urban Outfitters! From the review in Science: “This highly browsable volume puts a new lens to the long-time relationship between art and science…. Each entry admirably articulates a complex topic in concise and engaging ways….a stunning collection that reimagines scientific wonder and that is an eloquent argument for slow living in an age of immediate access.” (Matuk, C. (2013). The Pleasure of Not Knowing. Science, 339, 523–524).